Bilal Sanitary Store deals in sanitary fittings, parts and hardware items of daily use. 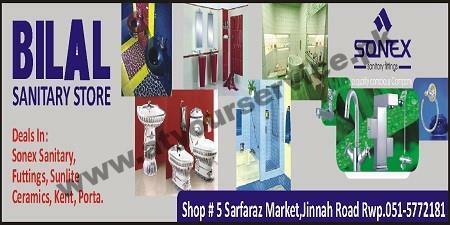 Bilal Sanitary Store is located in Sarfaraz Market, Jinnah Road, Rawalpindi. It deals in sanitary fittings, parts and hardware items of daily use.